This post is a review of the book Whom Say Ye That I Am? Lessons from the Jesus of Nazareth by James and Judith McConkie published by Kofford Books. I saw this book marketed as “Marcus Borg for Mormons” and as I have frequently cited Marcus Borg as being one of the most important voices in my ongoing LDS faith reconstruction after experiencing faith crisis, I was very excited to get a chance to review the book. For the last 200 years, scholars have made significant discoveries related to how the New Testament came together. There is no consensus on these things, but the general idea is that the order the books were written, when they were written, by whom they were written, and how they evolved are a little different than how we tend to think of them in mainstream Mormonism (and conservative Christian traditions like Evangelicalism). Scholars have grouped stories and verses attributed to Jesus together in different categories like “likely to be original” or “likely to be added later and therefore possibly dubious”. Additionally, greater understanding of historical context brings slightly different meanings and interpretations of various teachings and actions of Jesus. Deep study of this has led some people to disbelieve in Jesus as the divine Son of God. But for many others, study like this has affirmed their literal faith in Jesus Christ and deepened their testimony of the resurrected Savior. Rest assured, if you are uneasy about venturing into this territory, the McConkies are firmly the latter. In this book, the McConkies have done a great job introducing modern New Testament scholarship in a gentle way for an LDS audience. The main gist of this book is that we in the LDS Church focus on the birth, death, healings, miracles, resurrection, and atonement of Jesus Christ. But we may not talk enough about or understand deeply his actual life and teachings. By studying and understanding these, we come to appreciate Jesus Christ in a more meaningful way and are more prepared to become his disciples. The book includes 18 chapters in three sections. I list the chapters and sections here. Indented sections are quotes from the book. Non indented comments here are my own. Not only does context help us know what is going on, but it also “helps us to avoid reading the Bible simply with our current agendas in mind and frees the Bible [Jesus] to speak with [his] own voice.” It should be obvious that out of historical context, Jesus could plausibly be expropriated to support almost any “good” cause, whether he would have actually endorsed it or not. Here, it is shown that although the LDS Church and the conservative US Christian movements are big on the nuclear family (and thus against anything outside that such as LGBT+ identities and relationships), you wouldn’t necessarily extrapolate that emphasis out of the New Testament. He was strongly against divorce, but he also seemed to define family in a broader way than the simple nuclear family. These two chapters are a large thrust of the book. That to follow Jesus means very serious consideration for taking care of the poor and rejecting the selfish accumulation of wealth. This was my favorite chapter of the book. I loved the stories and insights the McConkies gave especially related to Jesus seeking out the sinner and making them feel hopeful. Jesus rejected the cultural assumptions of his day about the causes of sickness and mental afflictions. Jesus did not teach that sin or evil spirits invariably caused disease, physical disabilities, and mental illness. Certainly, he would have admitted, as we all do, that sins and bad behaviors can be the source of physical and psychological illness. The Gospels clearly justify a claim that identified what afflicted men’s minds as “evil spirits” (Matt. 8:28–34).10 However, unlike his contemporaries, Jesus did not teach that there was an absolute causal link between sin and sickness, between possession by evil spirits and mental illness. I enjoyed this analysis covering the three parables in one of my favorite chapters, Luke 15. Jesus was so revolutionary in his approach to bring his love and his gospel to all God’s children, that he had to spend a lot of his time convincing his own disciples. Even though Jesus seemed to “redefine the boundaries of Israel’s election,” and despite the fact that he demonstrated an openness to extend salvation to the Gentiles, the Jewish apostles resisted such a generous scope for his work. It becomes clear with Wright’s translation that in all of the three examples Jesus used in the passage from the Sermon on the Mount, his teaching did not mean passivity. To the contrary, in each case of enemy aggression (that is, violence from an individual, violence from a system in the form of real or perceived injustice, or violence and humiliation at the hands of an entire army of imperial enforcers), he expected opposition to the perceived enemy to involve only good or righteous responses. In every case, the desire to have absolute and immediate justice or to vanquish the enemy in the end did not justify the means by which his disciples were to achieve it. In-kind resistance of the eye-for-an-eye variety was unacceptable. Here, in another major theme of the book, the McConkies lay out the case that to follow Jesus is to care deeply about the institutional injustices of the world and take on those causes. Helping to correct the systematic oppression of the poor and the marginalized. By way of contrast to Augustus’s, the titles given to or claimed by Jesus are metaphors for the leader of a kingdom that gives peace to each citizen, that provides a nurturing shepherd who keeps his flock safe, that offers enlightenment and truth to all regardless of station, and that promises a continuation of lives. The differences are stunningly obvious. This is a very interesting chapter. Jill explains this Covenant of Salt and how Jesus used this metaphor in a podcast interview I recommend with Gina Colvin. Here, the McConkies analyze the personality of Jesus on several factors based on the evidence from the texts. Temperate or Quick to Anger? Jesus as compassionate is one of the strongest points of the book. A touching insight that is shared in Chapter 5, is that even though the rich man rejected Jesus’ invitation to sell all that he had, give to the poor, and follow Him, Jesus ended the encounter rather than reacting and condemning, he showed genuine love and compassion for the young man. We are inviting people into a discussion that revolves around this historical Jesus and what his values were, and are his values consistent with our own political constructs, religious constructs, cultural constructs, and as you begin that discussion, you place priority on the Son of God and hopefully shed the prejudices and predilections of culture and come closer to the authentic Jesus. The purpose of having Jesus is not to have a cypher or a shadow but is to have the real Jesus. I agree strongly in some sense to this statement, but also my minor points of contention flow from this point McConkie is making. The Jesus of History vs the Christ of Faith. Even though the McConkies and I are big fans of Marcus Borg, we differ a little in why. We picked up a book by Marcus J. Borg, Meeting Jesus Again for the First Time: The Historical Jesus and the Heart of Contemporary Faith (1995). Once we started reading it, we could not put it own. We disagreed with his pantheistic view of God and his metaphorical approach to miracles and the resurrection narrative, but he brought to life the character, demeanor, and temperament of Jesus as a person, teacher, and social prophet. Borg convincingly portrayed Jesus as a compassionate person who was unflinching in his just criticism of the religious and socioeconomic conditions of his day. We were captivated by Borg’s portrayal. I love Borg primarily because of his outlining of the intellectual case for the metaphorical view of scripture and religion. 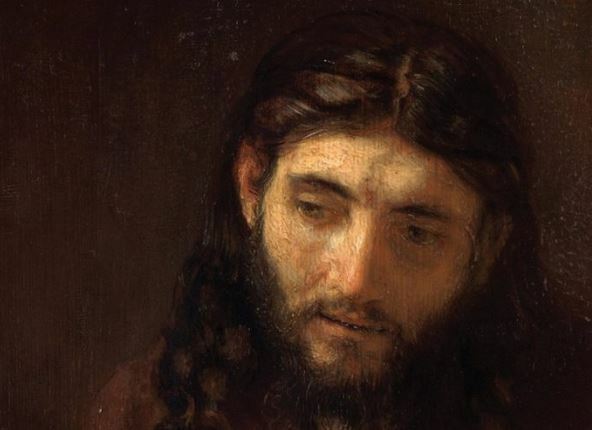 As scholars have deconstructed the New Testament, out of it has come a distinction and discussion of the Historical Jesus vs the Cosmic Christ. For some, it is the same. For some Christians, the scholarship that suggests there’s a gap in those two is compelling, and they evolve into a view, such as promoted by Borg and Crossan of the historical Jesus as a parable of Christ. I don’t have a position on this, and though it may seem like the difference is drastic and imperative, to me the more I think on it, the closer the two concepts blend together. Intellectually, the metaphorical approach fits best. And so the question is, what is the metaphor? Is it the actual historical Jesus? Or is it the Jesus as taught within my faith tradition, the LDS Church. Which do I worship? 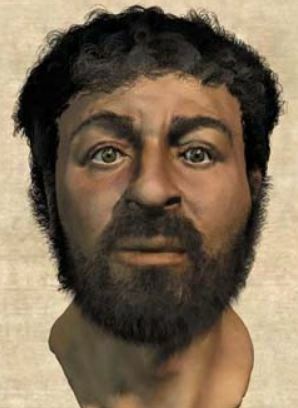 Though this is claimed to be the most accurate depiction of the historical Jesus, this is not the Jesus I worship. 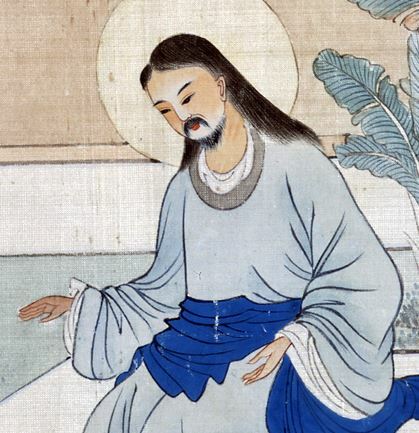 And for my daughter’s converts in Hong Kong, I hope they are worshiping this Christ. 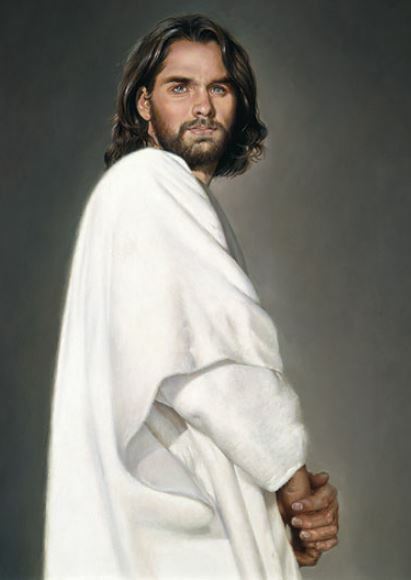 My belief in Jesus Christ is tied more closely to the general teachings and views of my faith tradition, the LDS Church, than what could be discovered through historical analysis. Some historians characterize Christianity as being invented by Paul, hijacking or manipulating the preexisting but underdeveloped oral legend of Jesus. If so, as a metaphor of God, I find Paul’s version very powerful and possibly more important than the actual historical Jesus. I go deeper into this metaphorical vs historical approach of worshiping Christ in this post. I have a strong dislike for fundamentalistic religion. I believe scripture is sacred and inspired, but I don’t think it is a God-breathed instruction manual for humans. It drives me crazy when some go to the Journal of Discourses or obscure interpretations of the Doctrine and Covenants to “prove” something. Even though it’s from the opposite side of the political spectrum, what the McConkies are doing here feels a little bit like this. Where do I go to understand this pathway? What’s the authority? For me, it’s the consensus of the LDS Body of Christ (which is generally illustrated by what is taught by the living prophets), not necessarily what can be demonstrated by the actual historical analysis of the New Testament or other scripture. But on the other hand, I love that they are putting these important insights about Jesus into the conversation. So, while I disagree with the philosophical point that the key to religion and knowledge of absolute truth about God is through the path of historicity and historical detail, I do love that they are putting forward this important understanding of Jesus into the Mormon world. Once there, it can be acted upon by the LDS Body of Christ as moved by the Holy Ghost, and find its way into mainstream Mormon doctrine. In the 1990’s, Stephen Robinson and other Mormon scholars injected ideas on grace into the Mormon world, and as the LDS Body of Christ accepted them, the ideas found their way up to the brethren, finally with Elder Uchtdorf validating them in a general conference talk. Greg Prince called the concept “trickle up revelation”. Please check back here in a couple weeks, for a post I’m currently working on. The McConkies make the important point that we need to separate our cultural bias from our interpretations of Jesus. As examples, they illustrate that it’s difficult for African Christians to shed their bias for patriarchy and that Christian doctrine has been used to support harmful ideas like slavery in the US. However, just like a good statistician can prove anything with numbers, a good historian can manipulate by emphasizing certain details. I felt at times, the McConkies were going a bit too far in painting Jesus as a modern day liberal social justice warrior, and a reader of this book might assume a disciple of Jesus could only vote for Bernie Sanders. So, in summary, I highly recommend the book. For the reasons I mention here it was not quite a “love” but a strong “like”. Please buy the book and read it and let’s put these ideas into discussion in the Mormon world.